Caltech's SnowCrystals.com is all about snow crystals and snowflakes and how these remarkably complex and beautiful structures appear, quite literally, out of thin air. Includes a collection of high resolution snow crystal photos. Cloud Appreciation Society - You love lying in the park on a summer's day and looking for shapes in the cumulus clouds. You think a mackerel sky of puffy altocumulus stretching off towards the setting sun is one of the most beautiful sights in the world. In short, you love clouds. And yet everyone else just seems to complain about them. Are you the only one who thinks life would be poorer without these glorious 'patron goddesses of idle fellows'? No, you're not. There are others like you. Join them here. How to Read Your Rain Gauge - The Colorado Climate Center offers advice on obtaining accurate rainfall measurements using a 4-inch plastic rain gauge. Northeast Snowfall Impact Scale - NESIS characterizes and ranks high-impact Northeast (United States) snowstorms. It has five categories: Extreme, Crippling, Major, Significant, and Notable. The index differs from other meteorological indices in that it uses population information in addition to meteorological measurements. Thus NESIS gives an indication of a storm's societal impacts. Rain Gauge Calibration Tables - For use with the NovaLynx 260-2595 Tipping Bucket Rain Gauge Calibrator. Rain Gauges: Are They Really Ground Truth? - Covers issues surrounding the accuracy of rain gauges and what factors to consider when evaluating rain gauge data. Presented by Nolan Doesken, Assistant State Climatologist at the Colorado Climate Center at Colorado State University. Relative Catches of Snow in Shielded and Unshielded Gages at Different Wind Speeds - (PDF) By Leonard L. Weiss, Hydrologic Services Division, U.S. Weather Bureau, Monthly Weather Review, October 1961. Shielded Storage Precipitation Gages - (PDF) By J. Cecil Alter, U.S. Weather Bureau, Monthly Weather Review, July 1937. Snow Measurement Guidelines - (PDF) National Weather Service Cooperative Observer Program. 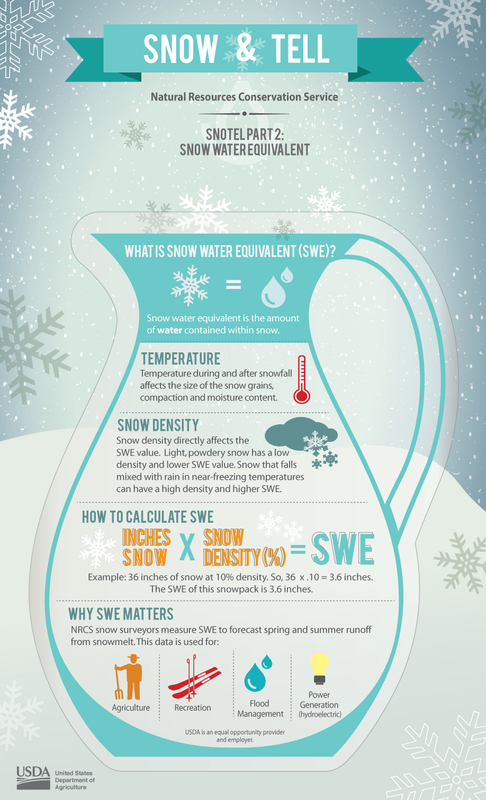 Snow Rain Equivalents - This brief article from Weatherwise Magazine's Weather Queries column discusses the various factors that can affect the ratio of snow depth to water-equivalent depth. 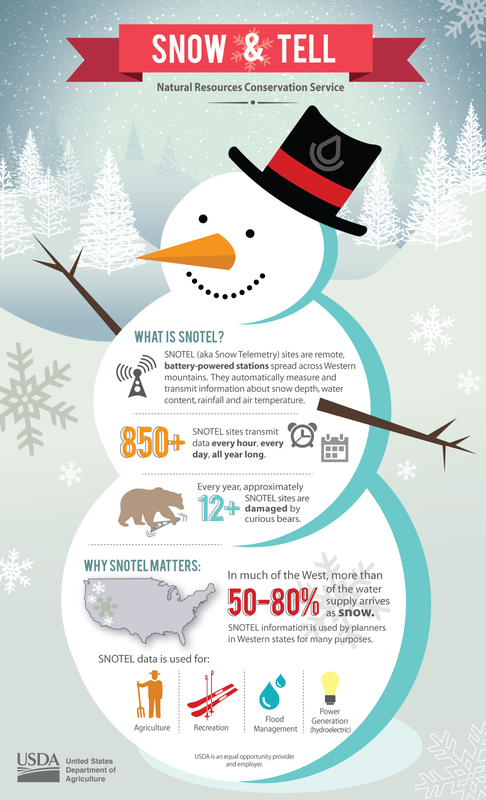 Snow Survey Sampling Guide - Training and reference guide designed for snow surveyors who use sampling equipment to measure snow accumulation. Natural Resources Conservation Service. Standard Rain Gage - National Weather Service training module describes the four major components of the 8-inch non-recording standard rain gage (SRG), installation and exposure of the gage, the use of wind shields, and measuring snowfall. Also compares the SRG with other types of rain collectors. Why is the word "precipitation" used as the label for rain, snow, and hail? - From the University of Wyoming.